Rectangular section, closed-end design. Die springs are primarily used in die machinery. For die springs, blue color here represents that the loading grade is Light load. 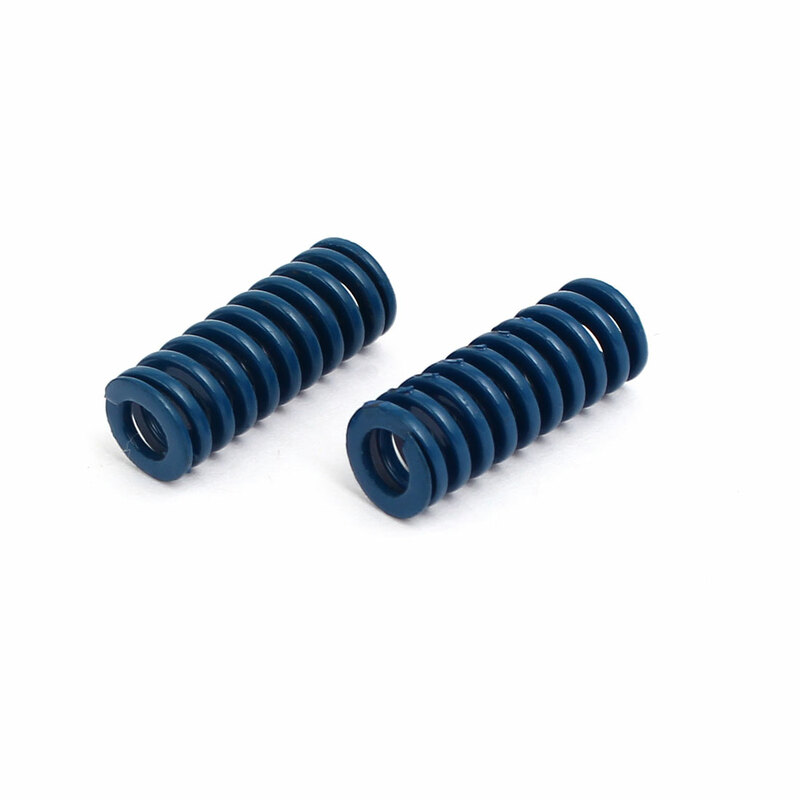 Since die springs are well suited for high stress applications, they are also suitable for a variety of other applications as well. Additionally, we want to tell you the loading grade of die springs in various colors (from lightest load to extra heavy load): yellow, blue, red, green, brown.